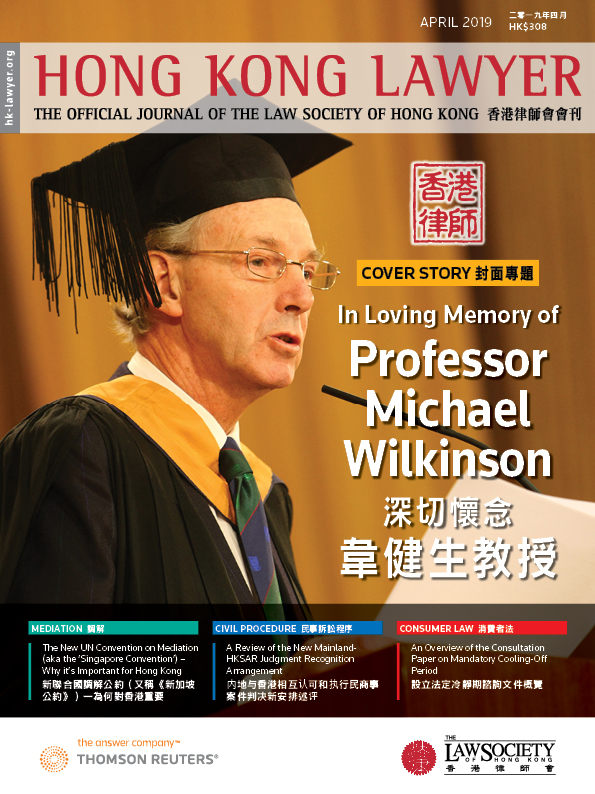 The passing of Prof. Michael Wilkinson on 20 February 2019 marked a great loss for the Hong Kong legal community. Wilkinson first joined what was then the University of Hong Kong’s (HKU) School of Law in 1983, after stints teaching in the UK and Africa. He delivered his last lecture on January 28, 2019. He served as Associate Dean of HKU’s Faculty of Law in 1990-91, Head of the Department of Professional Legal Education in 1991-93 and 1996-2005, and as Chairman of the Board of Studies of the Faculty of Law in 2006-2015. He also served as HKU’s Public Orator, was a member of the Hong Kong Law Reform Commission and a member of multiple committees of the Law Society of Hong Kong. Last year, he was made only the second Honorary Member for Life admitted by the Law Society of Hong Kong. Though already struggling with his health, his signature sense of humour shone through in his admission speech. “I am delighted that it was not a posthumous award; you got there in time. As you can see, I am still alive and kicking, although without being allowed to smoke my pipe and without being allowed to drink gin and tonic, I don't know whether you can really call it alive, just on the borderline of life,” said Wilkinson. Many of those practicing law in Hong Kong today are from the several generations of students he nurtured. 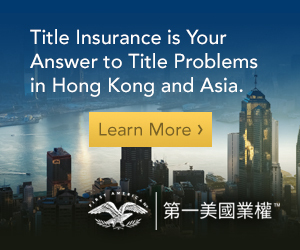 “I have probably taught 60 to 70 percent of all lawyers in Hong Kong. And the best part of my work is interacting with my students,” Wilkinson told Hong Kong Lawyer in 2018. His impact is not limited to just his students. He is deeply missed by his peers and colleagues in academic and legal circles. Hong Kong Lawyer spoke to a number of them to understand his contributions to their professional and personal lives. Michael Hor, the Dean of the University of Hong Kong’s Faculty of Law, recalls meeting Wilkinson when he first arrived in Hong Kong. “I met Prof. Wilkinson when I first interviewed for this post. He came along to greet me personally at the airport when I came here to interview for this post about five or six years ago,” said Hor. The two would later work closely together, under Wilkinson’s capacity as Chairman of the Law Faculty Board. From the very beginning, Hor’s impression of Wilkinson was that of a very caring person. It is this warmth, Hor said, that made Wilkinson a well-loved person, a feat he describes as “hard to achieve” in a role that requires working with multiple parties. Another feature of Wilkinson’s tenure was to ensure that the faculty was suitably festive when the season came. "I'm not sure when the tradition started, but he was always the one organising the faculty's Christmas party. He would always get the teaching faculty to donate gift vouchers, wines and so on to hold a lucky draw. So everyone would go home with something," recalls Hor of the festive atmosphere at these events. Hor said Wilkinson also made it a point to invite administration staff to his home each year. “I was very fortunate to attend this myself before. He was the glue that held the institution together,” he said. Hor reflects that Wilkinson had charted a fairly unusual path. Hor feels there was a great need for Wilkinson’s work, which contributed to a number of areas. “Teaching aside, it may not be as well-known that Michael wrote a lot of the standard texts for the legal profession here that have become the essentials. His work was invaluable in the foundation of our legal system today and it set the blueprint for many careers,” said Hor. Beyond playing an integral role in the Postgraduate Certificate in Laws (PCLL), Wilkinson was working on the latest edition of a textbook up to the month of his passing. “Since he joined HKU, the history of the PCLL program was very much intertwined with his history as well,” said Hor. Above all, Hor misses Wilkinson as a calming presence and a friendly face. Colin Cohen, a senior partner at Boase Cohen & Collins, remembers Wilkinson as being a very fair man. The two of them played soccer together on an HKU faculty team most Sundays, where Wilkinson was a midfielder. He says Wilkinson continued playing soccer until as recently as three years ago until hip issues got the better of him. Though Cohen has fond memories on the soccer field, both of them also enjoyed a close working relationship. They met in 1983 at HKU and later found out that they had a shared history of stints at Downing College Cambridge. 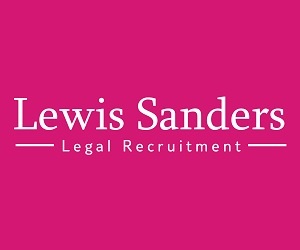 “I got to know him quite well when I was asked to be an examiner on the Overseas Lawyers Qualification Examination as he was a convenor and co-examiner with me. We’d meet all the time to set and mark the papers together,” said Cohen. It was these sessions that showed Wilkinson’s sense of fairness extended beyond the soccer field. “When it came to marking papers, he was so thorough and nice. He would always give any student the benefit of the doubt,” said Cohen. “The great thing about him was that he was always loved by the students. I don’t think anybody could say anything bad about him. No matter how terrible people were or how bad things were, he would always look on the bright side of everything,” said Cohen. He recalls that Wilkinson used to convene the meetings when Cohen became an external examiner for the PCLL programme. “He really was ever so open, nice, careful and wanted to do the very best for the benefit of the students. That’s why he was so well liked,” said Cohen, who adds that Wilkinson’s lectures always had good attendance because of his great teaching style. Cohen also praised his skills as both an academic and writer, describing Wilkinson’s work as “impeccable”. 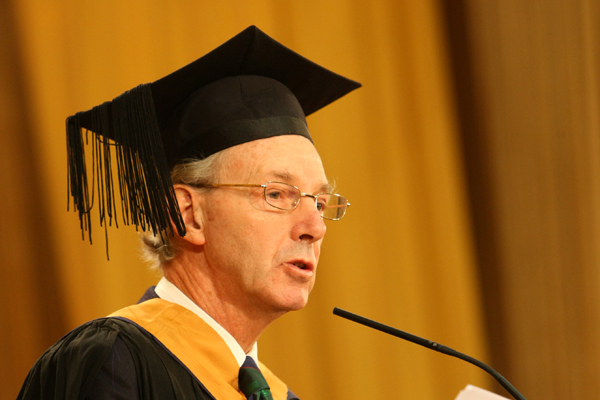 Malcolm John Merry, adjunct professor at HKU’s Department of Professional Legal Education, remembers Wilkinson as someone who was not afraid to go outside his comfort zone. Merry noted that Wilkinson was the writer and editor for several publications on topics such as conveyancing, civil procedure and legal ethics. "These are quite diverse subjects. They don't naturally fall together. They were the result of Michael plunging into the PCLL program in the '80s when there weren't enough teachers and he became a Jack-of-all-trades. He dealt with a variety of topics where teachers were needed," said Merry. Merry once asked Wilkinson how he managed to keep up. He says Wilkinson had an impressive memory for cases, echoing his colleague Michael Hor’s description of him as a “walking encyclopedia”. But beyond being a disciplined and brilliant academic, Merry also remembers Wilkinson as a friend who offered him support, when Merry’s late wife had a battle with cancer. The students and alumni seem to regard him similarly. “Whenever I met former students, they would always ask me how I am, followed by enquiries about Michael,” said Merry. Albert Chen, a professor of constitutional law at HKU, was struck by Wilkinson’s eloquence. “There was a meeting in 1983 of the academic staff of the then School of Law. Michael spoke up about the lack of different departments, and we discussed the qualities required to be the Head of Department and the Dean,” said Chen. “He was very eloquent in presenting his views and active in speaking his mind. He was genuinely concerned about the best interest of the law school,” added Chen of his first impression. Many years later, Wilkinson would serve in those roles himself. He was Associate Dean of the Faculty of Law in 1990-91, Head of the Department of Professional Legal Education in 1991-93 and 1996-2005, and as Chairman of the Board of Studies of the Faculty of Law in 2006-2015. The eloquence would also serve Wilkinson well when he became the university’s public orator. Chen, who served as Head of the Department of Law in 1993-96 and Dean of the Faculty of Law in 1996-2002, worked closely with Wilkinson to reform the PCLL program to fit the recommendations of the Redmond Roper report, a review on legal education in Hong Kong. “HKU and other sister universities like CityU were against the abolition of the PCLL. We thought that the PCLL should still be the best program of preparing lawyers for practice. We put forth a proposal to reform the program to fit the objectives of the report,” said Chen, adding that they introduced more skills-based training in the program. “I’ve always felt that he was very public spirited, cared about the best interest of the law school, its staff and students. A true citizen of this community,” said Chen. Amirali B. Nasir, the founder of Nasirs and vice president of the Law Society of Hong Kong, has first-hand experience working with Wilkinson. After getting acquainted through meetings for the Overseas Lawyer Qualification Examination in the mid-1990s, Nasir eventually invited Wilkinson to work on the Law Society’s Solicitor's Guide to Professional Conduct. Despite his packed schedule, Nasir says they’ve met regularly to work on the guide. “Sometimes, between lectures, he would drive over from HKU, attend the meetings at lunchtime or evenings at the Law Society’s office, then drive back for another lecture,” said Nasir. Wilkinson even willingly gave up his weekends to help the committee with wrapping up the project towards its end. “His name is here. It was completed in 2013 and updated in 2015,” said Nasir. The last time they met was for a meeting of the guide’s revision last year, when Wilkinson was undergoing treatment for cancer. They also worked together on the solicitor’s practice rule committee. “He was always very helpful. I found him friendly, warm, kind and polite. He was also very witty,” said Nasir, echoing the sentiments of all the people Hong Kong Lawyer spoke with. Beyond being an amiable person to work with, it was Wilkinson’s insights that helped form the guide. “He was always able to cut away the chaff and get to the kernel. His innovations and reasoning were very useful, particularly in separating the different types of conduct,” said Nasir. Nasir recalls that Wilkinson always spoke fondly and excitedly of his children. He poetically compares the loss of Wilkinson to a painting. “It’s a tremendous loss. The best way to describe it is like an alcove in the university, which has always been beautified by this wonderful painting that’s very colorful and detailed. Every time you walk past it, you always get a sense of comfort and joy and enlightenment from it,” said Nasir. Rodney Griffith, who joined HKU in 1978, met Wilkinson when he joined the teaching staff. “We were from the same part of England. So there was that clansman bond, even though we didn’t overlap much in our work. He was also the same age as me, seven months apart,” said Griffith. “He was very hardworking and industrious, very well ordered and non-chaotic and calm,” said Griffith. “That’s the antithesis of me,” he adds jokingly. Returning to a more serious tone, Griffith described Wilkinson as “very much in love with his work”, citing his tenacity with teaching and writing. Wilkinson gave his last lecture on 28 January 2019. Even as he battled his illness, he carried on teaching, marking, and scholarly writing just as before. According to those who knew him, Wilkinson maintained a very disciplined approach with his writing and editing work. No matter what happens, he would allocate three hours every morning of each day to it. “The retirement age at universities is 60 and most professors don’t get extended beyond that. You’d have to be really brilliant for the chance to continue for as long as he did,” said Griffith, who also described him as a “purist lawyer who loved the law”. Beyond his academic brilliance, it was his teaching skills that have left an impact on the legal profession in Hong Kong. 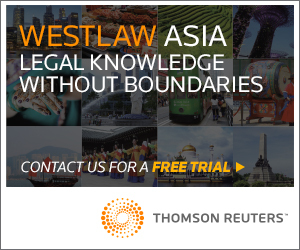 In a previous interview with Hong Kong Lawyer, Wilkinson himself estimates that he has taught 60 to 70 percent of the lawyers practicing in Hong Kong. “He was a very well respected and admired teacher, and he will be mourned for sure,” said Griffith. Wilson Chow, an associate professor at HKU’s Faculty of Law, first met Wilkinson when he was a student. “Prof. Wilkinson was Head of Department when I studied for the PCLL. He was the course leader in Conveyancing when I joined the department,” recalls Chow. He describes Wilkinson as "a noble English gentleman." “He was always positive and cheerful, kind to all staff, from academic colleagues to supporting staff, from senior people to junior ones, and from people from within to those from outside,” said Chow. In fact, Chow credits Wilkinson with being a pillar of support and pushing him to explore beyond his comfort zone. “Michael encouraged me to extend my interests beyond my immediate research topics. He fostered an environment that encouraged that,” he said. Chow said Wilkinson was also instrumental in guiding his career advancement. “When I was an assistant professor, he encouraged me to apply for substantiation,” said Chow, who then successfully applied for a tenured position as an associate professor in 2002 and has remained ever since. The two worked closely together, especially when the curriculum of the PCLL was undergoing its reform. “Michael was willing to delegate and trusted us 100 percent to do our job,” said Chow. He also looked up to Wilkinson’s work ethic. “I've never heard him say no to anything, except when he was asked to record a video of himself giving a lecture in place of lecturing to students face-to-face after his chemotherapy,” said Chow. Even then, Wilkinson eventually relented and gave it a go. But he prefered to do his lectures in person. He gave his final lecture on 28 January 2019. “I really can’t think of anyone else that can take his role (as a pillar of support at work),” reflects Chow, who still keeps his emails from Wilkinson. Johannes Chan, professor of law and former Dean of the Faculty of Law, remembers Wilkinson’s sense of humor the most. “When the PCLL program was undergoing changes due to the Redmond Roper report, there was a lot of tension and difficult decisions to be made. Many were resistant and reluctant to change,” said Chan, who credits Wilkinson’s humor for diffusing difficult situations during that challenging period. That sense of humor carried over to his lectures. “Land law can sometimes be a bit dry, but his lectures always had good attendance. He was entertaining, knew how to arouse interest and could make you see things in a new perspective,” said Chan. Chan went on to describe Wilkinson as a very “collegial” person and a “good friend”, who was unselfish in dealings with colleagues. “In the university, there is a shortage of space. Many professors want their own offices. Despite being a senior staff, Wilkinson volunteered to share his office with junior colleagues to help with the issue,” recalls Chan. Despite being at the faculty of law, almost everyone knew of Wilkinson. “Almost everyone on campus knew of him. Within the faculty, he built a bridge between academic and administrative staff and kept up the morale,” he said. Now retired, Cecilia Chan worked as Wilkinson’s secretary for over three decades and has fond memories of Wilkinson. “He was always grateful for anything we did, even if it was just a small task,” said Chan, who also remembers him as “caring, humorous and hard-working”. “He put no pressure on anyone and trusted people freely,” she recalls, adding that he even entrusted her with the password to his Mandatory Provident Fund account to check on it. Much has been said about how Wilkinson has been appreciative to the administrative side of the university and Chan recalls a few examples. "He would send flowers for the female staff during Valentine's. And he would always send me a postcard whenever he went on travels. Then, there are the Christmas parties of course," said Chan. One little quirk that Chan remembers Wilkinson for is his love of the pipe. “He used to smoke a pipe until the university banned smoking on campus. After that, he would sometimes just have a pipe in his mouth without any tobacco in it in the office,” she said. Chan thinks of him with great fondness. Prof. Michael Wilkinson will be missed professionally and personally.